Dispatched from and sold by Foster Trading Ltd (HypedSports.com). 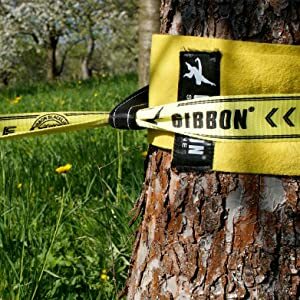 Easy and easy assembly between trees or similar stable anchoring points. 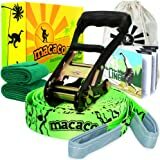 Specially developed flat weave for slacklining (trampoline effect). 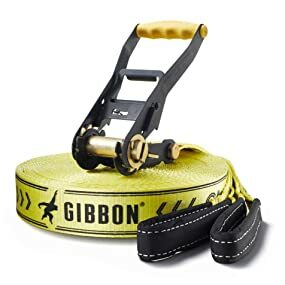 Continuous pressure for better grip and orientation on the belt. 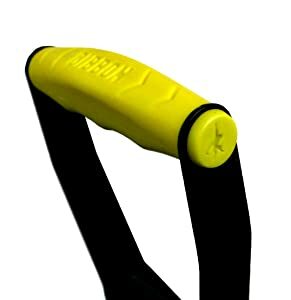 Ergonomically optimized ratchet handle made of plastic allows comfortable and efficient clamping. Warning: Only for domestic use. To be used under the direct supervision of an adult. The original! 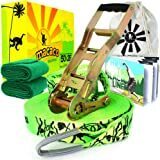 The best selling slackline in the world - popular with beginners, families and all-rounders who want to stretch their line everywhere. 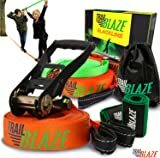 Simple operation and durability - two good reasons for their popularity and frequent use in sports halls and training. 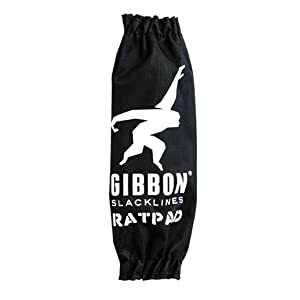 With integrated ratchet protection (RAT PAD), the set complies with the DIN guidelines for slacklining. 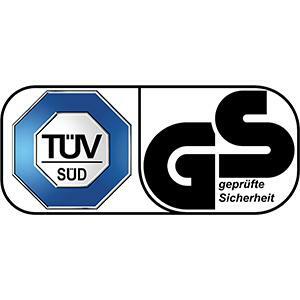 TÜV tested! 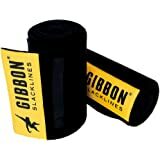 Gibbon represents a new generation of slacklining since 2007. 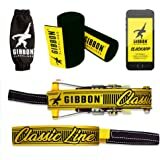 Driven by passion, we work hard to carry the slackline lifestyle out into the world, right from the beginning. 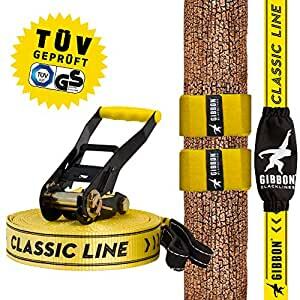 This slackline set is ideal for beginners. Thanks to its low stretch, this line can be set very close to the ground. This makes the first steps easier. The set-up of the two-part system is simple and takes less than 10 minutes. The ergonomically shaped handle, made from ABS plastic, allows a comfortable and efficient tensioning. The Classicline ratchet is equipped with two rows of fastening teeth on each side. The increased tolerance improves the lifetime of the ratchet. 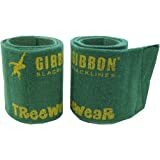 The Tree Wear protects the webbing and the tree from wear and damage. The ratchet protection avoids cuts or crush injuries, all while protecting the ratchet from the elements. 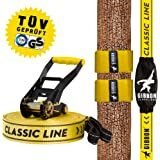 This slackline set is tested by the German Association for Technical Inspection and complies with the German Industry Standard for slacklining (TÜV 79400). 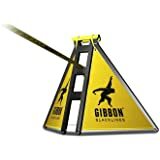 "Slacklining for everyone" has been the Gibbon motto for many years. 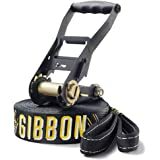 The Gibbon Slackapp will make this even easier as our tutorials will show you how to do it. 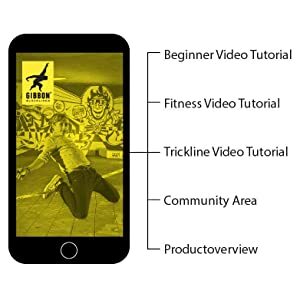 Starting from the first steps on the line up to valuable tips and tricks by our Slackline Pro Athletes. 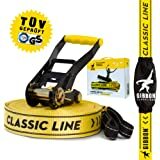 I've been slacklining for a few years now and wanted a basic line for the kids to use. 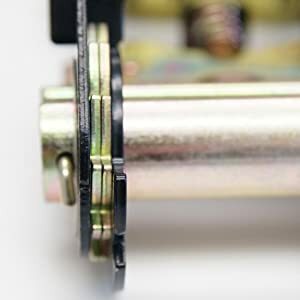 However after a couple uses the loop on the ratchet end is showing serious signs of wear. I've not had this problem before so soon and am wondering if it is down to a manufacturing fault. Only tried once so far but it is harder than it looks! great fun and very easy to put up - I really do love it. My son loves this. Its going on holiday with us this summer. Take time to read the instructions.